Fran Velez prefers to play with his right foot, as do 76% of his teammates. Fran Velez had 21 match appearances this season. With a height of 1.75m, he undercuts Aris Thessaloniki FC's mean tallness by 4. He is one year younger than than his team's average age, as he was born on 23.06.1991. 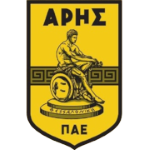 The club of Fran Velez, Aris Thessaloniki FC, presently holds fifth position in Super League (Greece) and third position in group Gr. 4 of Greece Cup (Greece). Spanish defender Fran Velez, who is currently under contract to Aris Thessaloniki FC in Greece, joined the club July 25, 2018. In terms of top seasons, the Segunda Division 15/16 (Spain) was his best one yet, breaking one personal record in terms of appearances. His shortest spell with a club currently counts ten months in his latest side. Before joining Aris Thessaloniki FC, Fran Velez impressed at UD Almeria, Wisla Krakow SA, UD Logrones and Gimnastic de Tarragona. He wears the number 44 strip at Aris Thessaloniki FC. It's been nine days since he played his latest match. Fran Velez weighs 75kg which is just as much his team's average heftiness. Throughout his time as professional football player, he was sanctioned with a card 33 times resulting in a mean value of 3.3 cards per play time. This season he was given four yellow cards. Concerning the latest matches, his club lost in Super League plus tied in Greece Cup. 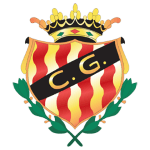 Fran Velez's record stay with a club is Gimnastic de Tarragona (Spain) with four years and 32 days. Besides Fran Velez, there are six more defenders in Aris Thessaloniki FC's lot: Dimitris Konstantinidis, Georgios Valerianos, Mihaly Korhut, Lindsay Rose, Petros Bagalianis and Georgios Delizisis. Sadly, he scored one own goal in his career. 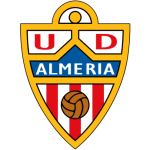 This happened with UD Almeria in Segunda Division 16/17 (Spain). He is enjoying a great Super League 18/19 (Greece) season so far, netting once (2.7% of his team's sum) and initializing no goals. This leads to roughly 0.05 scores per match in the resent season. One could say he translated to a slighlty diminished form compared to last year yielding a per-match-quota of 0.06 goals and 0 assists. After an overall look at his career, we can see that Fran Velez was substituted in 18 times but never out. In the active season, he came into the park more often in contrast to 2017/2018 wherein the contrary happened.